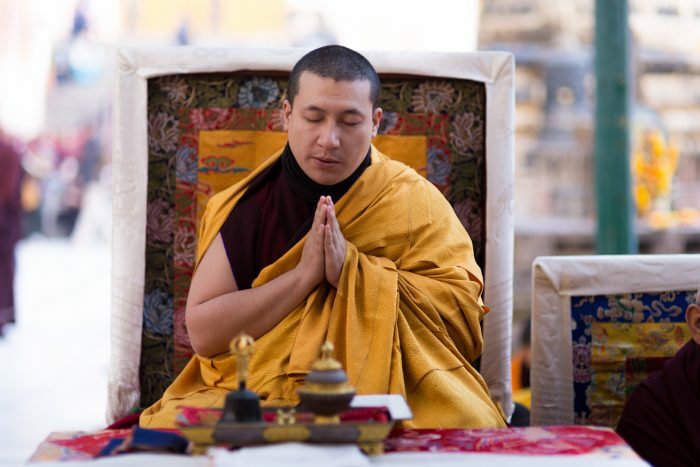 From 27-31 July, Thaye Dorje, His Holiness the 17th Gyalwa Karmapa, will be visiting France. He is visiting on the occasion of the 40-year anniversary of the Karma Kagyu Buddhist Center Dhagpo Kagyu Ling, and also of the activity of the Karmapas in France. Dhagpo Kagyu Ling, in the South of France, was named by the 16th Karmapa as his main seat in Europe. In 1975, the 16th Karmapa visited France, and in response to the wish of the people there for the Dharma, sent two teachers to represent him: his nephew Lama Jigme Rinpoche, an accomplished teacher, and Lama Gendun Rinpoche (1918-1997), who led meditation retreats for many years. Karmapa will teach on the Bodhisattva Vow, the promise to reach enlightenment for the benefit of all beings, and participants will have the opportunity to take the Vow from Karmapa. He will also give the empowerment of Chenresig. For more information, see the page about Karmapa’s visit to France on the Dhagpo website.